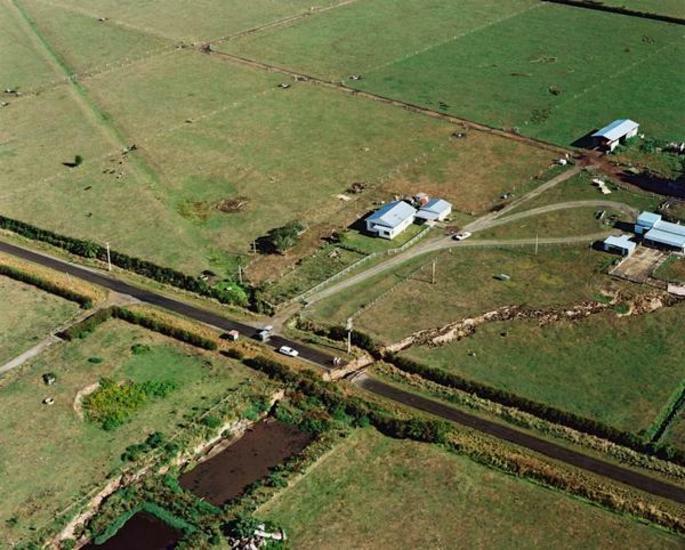 The earthquake that struck Edgecumbe at 1:42pm on 2 March 1987 was, with the exception of Inangahua in 1968, the most severe and damaging earthquake to hit New Zealand in 45 years. 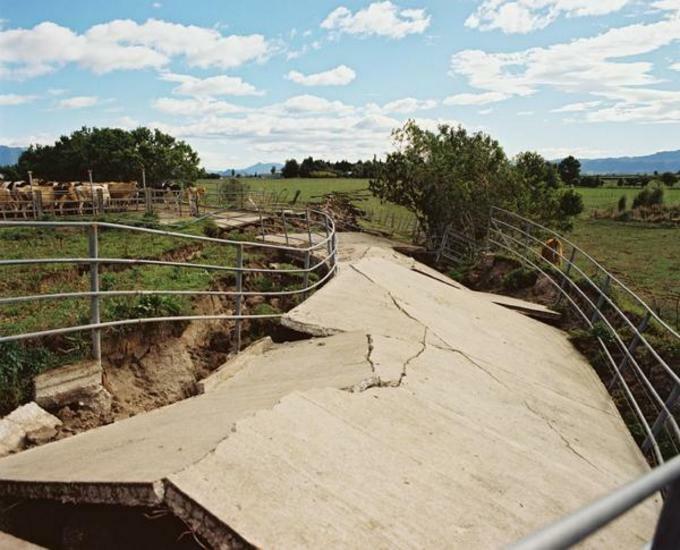 Hardest hit were the towns of Edgecumbe, Te Teko, Kawerau, Matata and Thornton, where chimneys toppled and poorly constructed houses suffered serious damage. 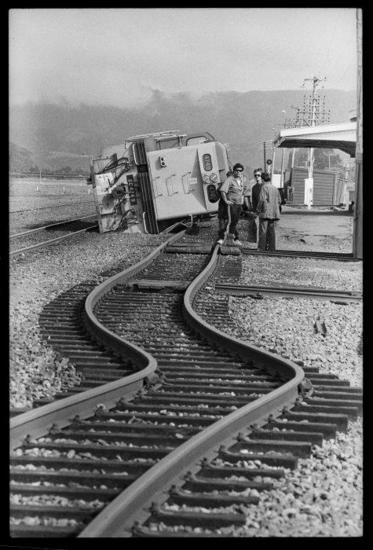 In Edgecumbe the intensity of the shaking cracked asphalt in roads and footpaths, damaged river embankments, toppled a locomotive and tore large power transformers, weighing up to 20 tonnes each, from their mountings1. 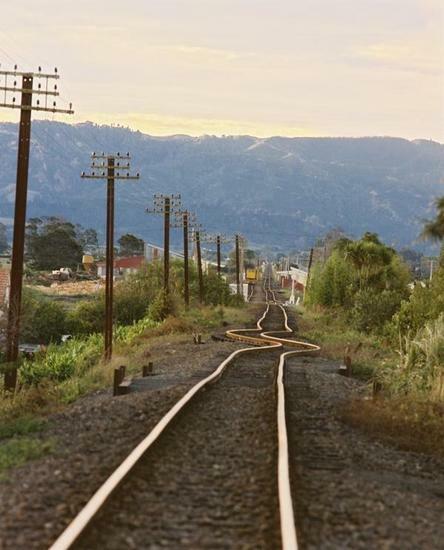 The town’s railway lines were also extensively damaged, bending and buckling under the huge force of the quake. 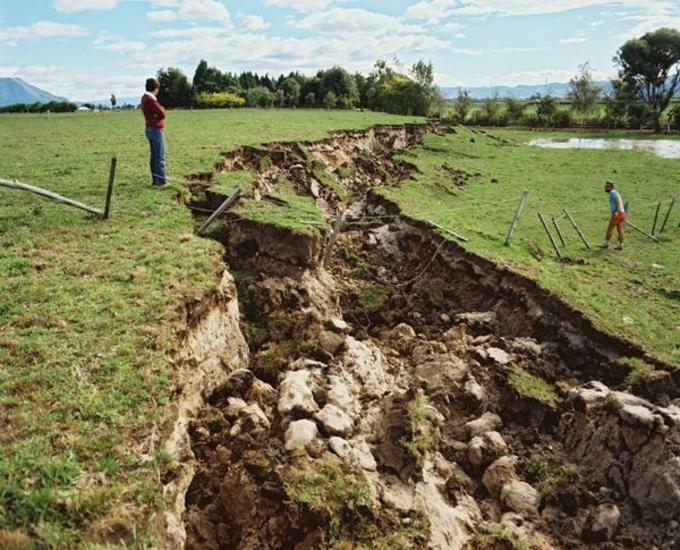 In the Rangitaiki Plains the quake ruptured the ground to create a spectacular 7 km surface rift that was over one metre wide. 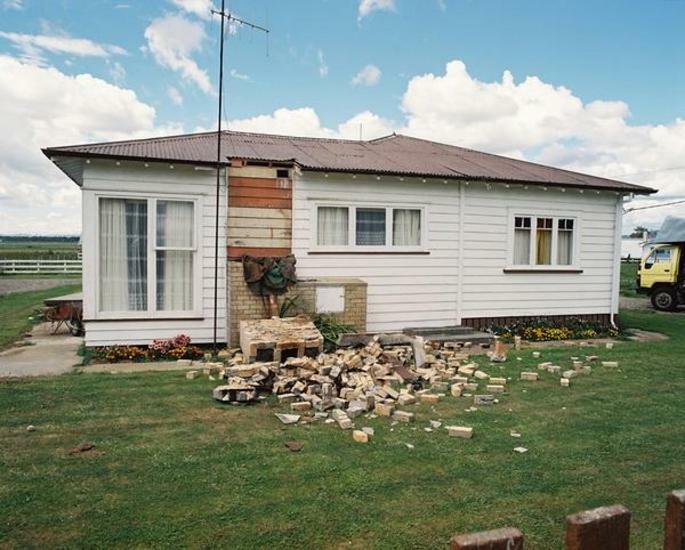 The quake was felt over most of the North Island, including Hamilton, Taupo, Napier and Gisborne. 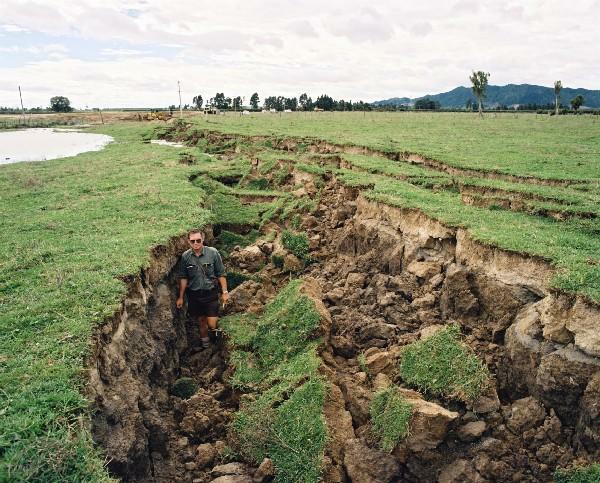 It was preceded by a number of foreshocks in Matata and Thornton, and followed by a series of over 200 aftershocks. 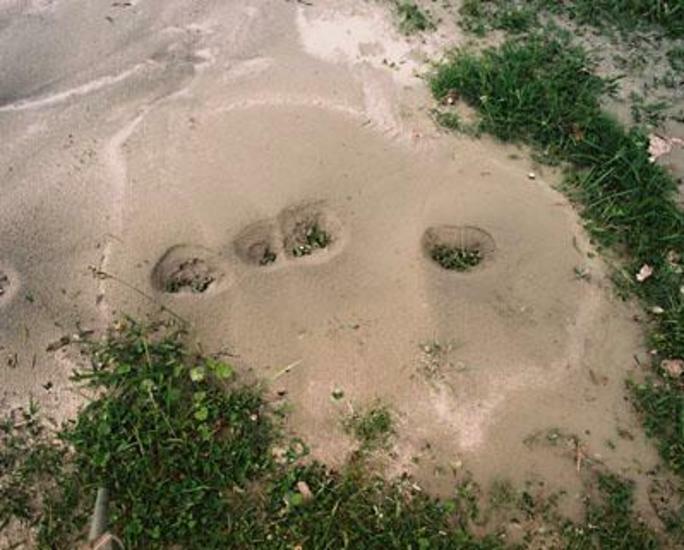 One of the largest foreshocks was of ML 4.9, and occurred only 7 minutes before the main shock. 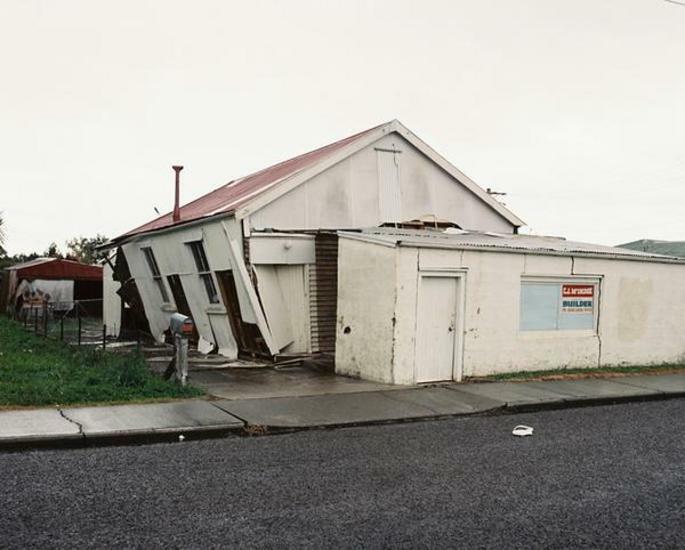 Luckily, a number of weak and poorly constructed buildings were evacuated in response to this foreshock and were consequently empty when they collapsed in the main earthquake2. There were in fact no fatalities, but 25 injuries requiring medical attention were recorded.